You are currently browsing the tag archive for the ‘Gary Paul Nabhan’ tag. A New Menu for the Future – Updated Edition Available By Earth Day! NWEI is celebrating 20 years of shared discovery, shared story and shared action – and we’re calling on you, our supporters both new and old, to help us reach 3,000 more participants before June 30th. We’re aiming to have 145,000 participants connecting, reflecting and taking action by June, and need your help! One way you can help us reach this goal is to organize a Menu for the Future discussion course, using the newly revised and updated version of this course book, available on Earth Day. 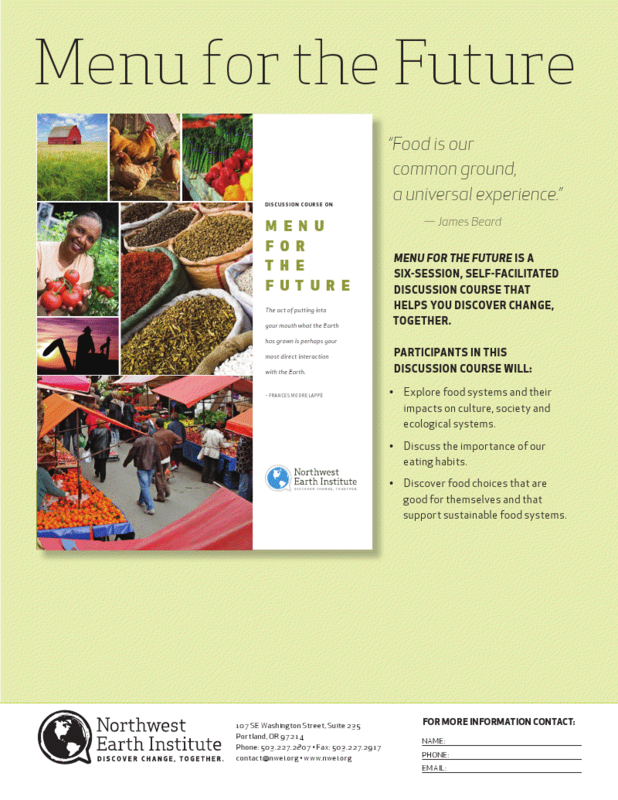 The updated Menu for the Future discussion course helps you explore the connection between food choices and sustainability with new authors, including Wes Jackson of The Land Institute, Alexandra Zissu, Gary Paul Nabhan and Robert Gottlieb. Find out more about our new Menu for the Future here,and join us in celebrating Earth Day 2013 and NWEI’s 20th Anniversary by organizing a discussion course in your community.